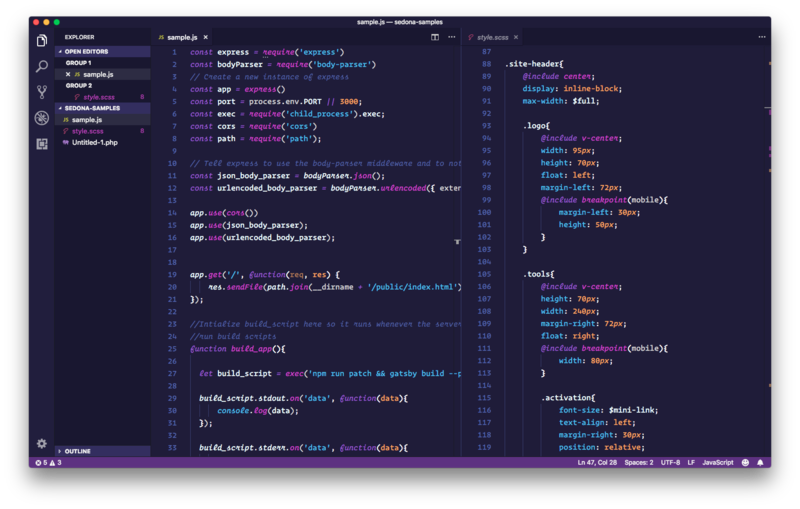 Visual Studio Code>Themes>SedonaNew to Visual Studio Code? Get it now. A Saturday night kind of pink. Easy on the eyes, no greens allowed! A Saturday night kind of pink. Easy on the eyes, no green allowed! Named after the Houndmouth song. If you'd like to help make Sedona better, open an issue with any reccomendations in the Github Repo for this theme.